Air compressors work by “inhaling” air from their surroundings and compressing it in order to release it out of the nozzle at the desired pressure setting. However, there is an unpleasant side effect to this action—moisture. Let’s review our elementary science. The air around us contains water vapor, or water that has been heated to gas form by different stimuli. Now, when that air is sucked in by an air compressor and exposed to heat, the water vapor condenses into water droplets. The same process can be found in the formation of rain, or precipitation. The only difference is that in the process of precipitation, the water is released by clouds in the form of rain. In air compression, that water is left inside the air compressor. Moisture is negligible if found only in small amounts. However, when left on its own, it can have some nasty side effects. For instance, moisture can join the compressed air released out of the nozzle. You’re basically spraying water, which can ruin your paint job. If you’re using air compressors professionally, you might want to think about changing the water filter regularly. 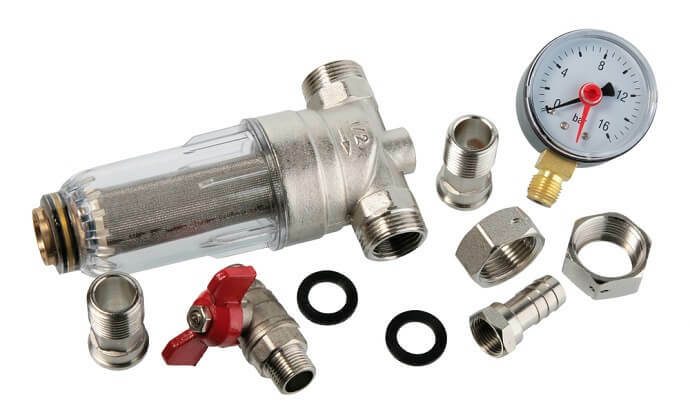 The water filter is the only thing standing between pure compressed air, and moisture finding its way into the compressed air released by the compressor. You don’t have to change the water filter too frequently—you’ll only end up spending hundreds of dollars that way. Instead, you can wait until the moisture levels inside the water filter are such that they send solid water particles together with the compressed air produced. It’s a very easy process. This is because most, if not all, air compressors have a water filter gauge installed. Now, you simply have to look at that filter in order to determine whether or not the moisture level inside the air compressor is within acceptable levels, or if the filter needs to be changed immediately. The air filter can be easily removed, regardless of what model of air compressor you own. Consult the user manual on how you can safely and properly remove the water filter. However, no matter what model of air compressor you have in your facility, it is highly recommended to place the air filter a considerable distance away from the nozzle so it can keep away moisture more efficiently. Moisture does not accumulate only in the filters. The water that is produced also finds its way into the air tank, and that is where the compressed air can pick up water particles that are then released together with it through the nozzle. The filter is, in a sense, only a mechanism used to keep water out as much as possible. In other words, you’d also have to think about draining the tank of any residual moisture caused by continued use of the air compressor. There are various ways to do that, and it depends on the particular model of air compressor that you own. Some have drainpipes already installed like washing machines, while others—particularly DIY systems—need to have customized drain systems mounted. Changing your air compressor’s water filter is but one aspect of the maintenance required by your air compressor so that it can outlive you, or even your sons. There are other concerns when ensuring the performance and longevity of your air compressor. Air compressors are highly useful machines to have, whether you’re doing it for industrial purposes or for DIY projects. Selecting the right air compressor for you will go a long way for you as the consumer.